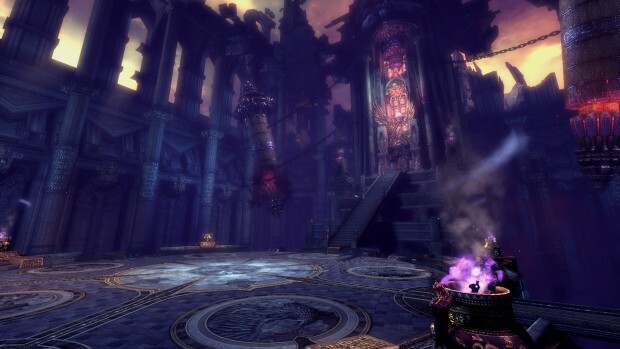 Today, NCSoft announced two new raids that will become part of Blade & Soul’s end-game progression. The raids, titled Skybreak Spire and Dawn of Khanda Vihar, both take place on the island of Khanda Vihar. Skybreak Spire is a 24-member raid designed for highly-geared and well organized groups. It features a weekly lockout and offers “extreme rewards” like best-in-slot Soul Shields and Legendary accessories. Players will take on the Naryu fortress which is still controlled by the Raven King and defeat Lusung. There will be many obstacles before reaching the former clan mate who betrayed the Hongmoon School. In Dawn of Khanda Vihar, players must take on the Great Drake — a sacred beast corrupeted through the Naryu’s attempts to harness the power of the Dark Realm. This is also a 24-member raid with a weekly lockout. It contains a series of increasingly difficult creatures that will stand in the way of reaching the Great Drake. Both of these raids feature a new lockout type and the developers would like players to note that if they’ve joined an Alliance after it has already defeated either raid’s boss they will have to wait until the raid resets for the entire group.